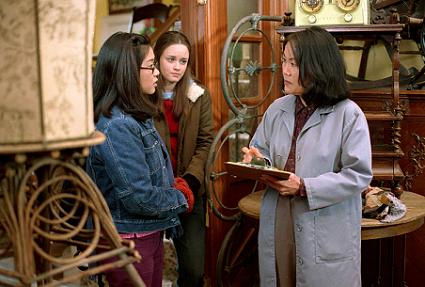 Keiko Agena, Emily Kuroda look forward to release of "Gilmore Girls" by Netflix. Lane (Keiko Agena) listens nervously as Mrs. Kim (Emiliy Kuroda) speaks at a Thanksgiving dinner. Netflix will start streaming all seven seasons of “Gilmore Girls” starting Oct. 1, giving fans a much-needed fix and giving the uninitiated a chance to see what all the fuss is about. The show, which ran from 2000 to 2007, was set in Stars Hollow, a fictional town in Connecticut, and starred Lauren Graham as Lorelai Gilmore and Alexis Bledel as her daughter Rory. The cast included Keiko Agena as Lane Kim, Rory’s best friend, and Emily Kuroda as Lane’s strict and conservative mom. 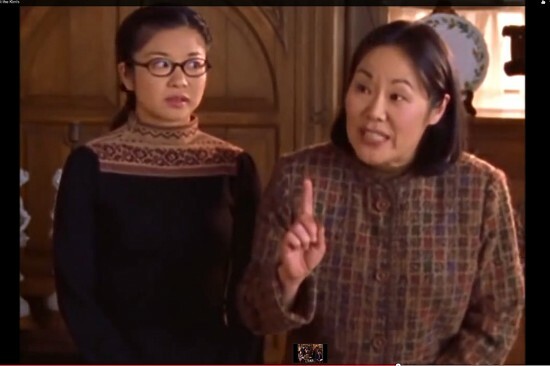 The Korean immigrant and her American-born daughter are among the few three-dimensional Asian American characters on prime-time TV in recent memory. Lane has to keep her hobbies, like rock music, hidden from her mom, and her love life is complicated by Mrs. Kim’s disapproval of her boyfriends, including drummer Dave Rygalski (Adam Brody). But Lane ultimately marries guitarist Zack Van Gerbig (Todd Lowe) and gives birth to twins. There are no plans for a “Gilmore Girls” reunion movie, but series creator Amy Sherman-Palladino has told Entertainment Weekly that she had “planned different paths” for the characters, and Graham, who currently stars in “Parenthood,” has hinted that she would be willing to play Lorelai again. Asked which episode is her favorite, Agena responded, “I think these days it might be the pilot. I remember reading that script and thinking, ‘Wow, this is really special.’ I look back on that show and I remember how fun and exciting it was filming out of town, in the actual cold. How we had to shoot the Dean scene [Rory’s first serious boyfriend] three times because they kept recasting until they found Jared Padalecki. The role earned Agena a place in People magazine’s “100 Most Beautiful People” issue along with America Ferrera (“Ugly Betty”), Jenna Fischer (“The Office”) and Mary Lynn Rajskub (“24”) in the “they play meek and geeky, but off screen they shine” section. Agena’s favorite post-Gilmore role was in a 2012 episode of “Scandal.” She played White House Press Secretary Britta Kagan, who met an unfortunate end. “I got to spend a week with that incredible cast and I think it might be the best cast on TV,” Agena said. “I mean, Kerry Washington was so sweet and welcoming it was unbelievable. She went out of her way to make me feel comfortable, and that was true of the entire cast. Everyone really cherished being there and valued each other. I know that starts with [series creator]Shonda Rhimes. You can feel her influence everywhere. Agena was in “Transformers: Dark of the Moon” (2011), the third movie in the franchise. 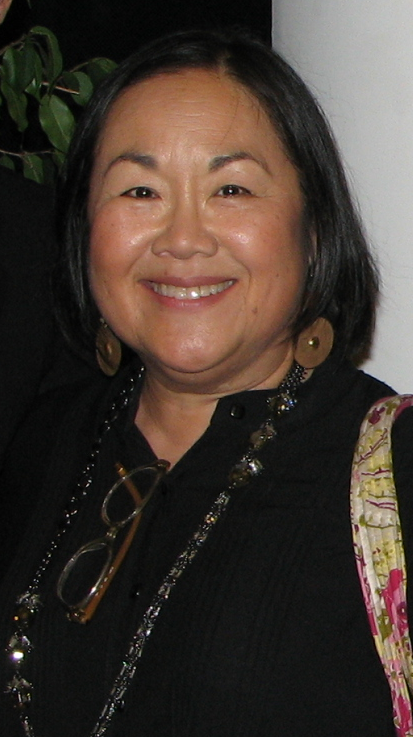 She also appears in the independent short “Lil Tokyo Reporter,” directed by Jeffrey Gee Chin, executive produced by Carole Fujita, and starring Chris Tashima as publisher and civil rights leader Sei Fujii. She is active on other fronts — she founded Mango Pop, which designs greeting cards; performs improv comedy with Ham Radio, RJP, Hometown and Wild Caught; plays with her band, Flying Platforms; was a member of hereandnow, an Asian American theater company; and has appeared on stage in such productions as Ken Narasaki’s “No-No Boy” (which also starred Kuroda) at the Miles Memorial Playhouse in Santa Monica. “I’m so happy that the show can now be binge-watched,” said Kuroda, who is still approached by people who recognize her as Mrs. Kim. “It remains one of my favorite shows — I may be a little biased — and I am so blessed to have had seven years with remarkable writers led by Amy Sherman-Palladino. 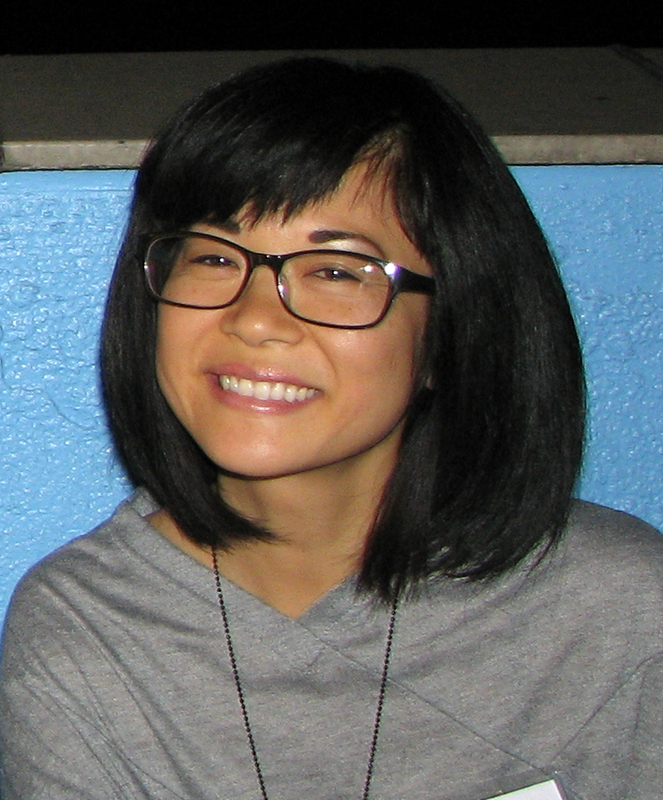 “Having the wonderfully talented Keiko Agena play my on-screen daughter has left an impact on me as a person. I remember the day we shot her wedding. After sharing her first date, her first lie, and the many hurdles of raising a child, I just broke down. “Amy created a character that appeared mean and unreasonable, but that energy stemmed from a fierce love for her daughter. Mrs. Kim wanted to protect Lane from pain and prepare her for the world. She often questioned her own choices or methods, but did the best she could. “The day she threw Lane out of the house for lying broke my heart. I threw her out of the house to teach her a life lesson, even though it left a hole in my heart. I physically hurt. An award-winning stage actress, she was seen most recently in “Fast Company” at South Coast Rep and “The Nisei Widows Club: How Tomi Got Her Groove Back” at East West Players.